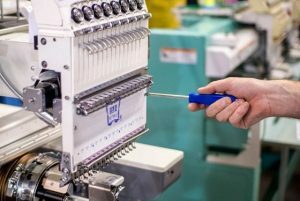 We offer a ‘Butterfly Lifetime Service and Protection Plan’ for our Butterfly Embroidery machine customers. 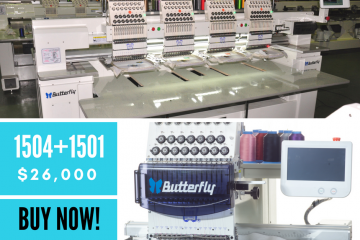 Butterfly Embroidery Machines come with an extensive warranty and Free Tune-Ups. This plan goes way beyond just your warranty. This plan covers labor at your location. We come to you with everything needed! Customers in TX, AR, OK, LA – Your first service visit is FREE! Each visit thereafter is applicable to a deductible. If you do not use your visits often, your deductibles are waived on case-by-case basis. The ‘Butterfly Lifetime Service and Protection Plan’ in an ALL INCLUSIVE service plan. 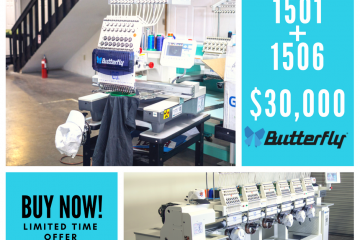 This plan covers your Butterfly embroidery machine from top to bottom including labor, parts, and all travel costs for us to get to you. 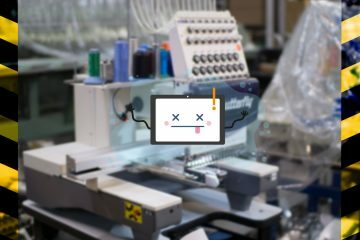 This plan applies to all Butterfly Embroidery Machines with serial numbers sold by TheEmbroideryWarehouse, within the Continental USA. If you are not in the continental USA or did not buy from TheEmbroideryWarehouse, then let us know. We have plans for you too! Hit a hoop? We come to you to fix it. Need more training? Schedule us to come to you. Need a tune up? Let us know when. Ask us how we can help you get out emergency orders or temporary embroidery staffing. Your plan is automatically charged monthly and renewed each year. Plan requires a 1 year contract commitment. Your first tech visit is FREE if you are within our FREE coverage area! Each visit thereafter is subject to a small deductible. Nothing more. Save hundreds or thousands a year by not being down, or on tech calls. You will only pay membership fees and deductibles are usually waived. No need to buy parts or pay for techs ever again! Unlimited scheduled visits provided technician availability. Contact us for a quote. We offer several different plans to fit your needs. To sign up, or for more information, please contact us. * – The ‘*’, indicated where this product is advertised, indicates this is a separate purchase. This ‘Butterfly Lifetime Service and Protection Plan’ does not come standard with any of our machines or packages. It is a separate subscription based plan. Plan subject to changes or cancellations at any time.